Endon Lighting Revelo LED illuminated bathroom cabinet mirror features a stylish square mirror with twin rows of cool white LED lights at each side, motion sensor and built in dual shaver socket. 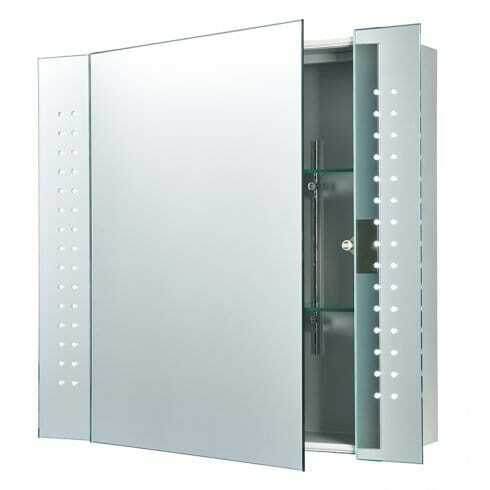 The product code for this Endon bathroom cabinet is 60894. A contemporary cabinet that is both stylish and practical, adding a luxurious touch to modern bathrooms with dual shaver socket and a duo of clear glass shelves inside the cabinet and a motion sensor to switch the LEDS on & off.